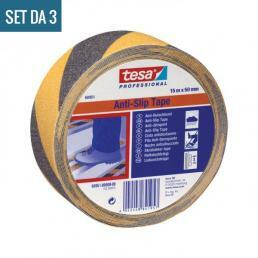 To highlight dangerous steps and critical surfaces, and thus avoid falls and slips, the best choice is Tesa's anti-slip belts. 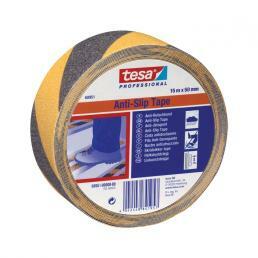 They offer workplace safety, thanks to their secure grip and high wear resistance. The yellow and black anti-slip tape is undoubtedly the best known in the range: it is very useful for highlighting little visible areas of danger and is often used on the steps, because it lasts up to 2 years and offers maximum safety. 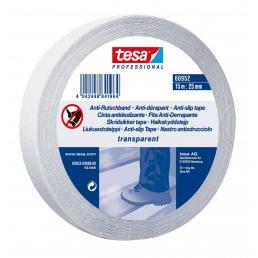 Always very useful to put on the steps is the Tesa fluorescent anti-slip tape, designed for low light situations: how many times have you happened to risk bad falls because the environment in which you found yourself was almost completely dark? This is the perfect solution: in addition to having a high resistance and excellent adhesiveness, this fluo anti-slip adhesive tape is perfectly visible in the dark. 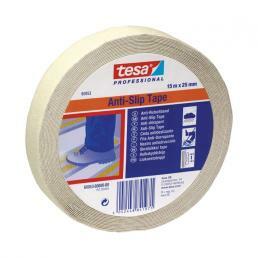 The Tesa black anti-slip tape is ideal for large industrial floors and is in danger of slipping: its adhesive is very resistant and ensures a service life of up to 2 years, preventing any kind of slipping or falling during work. 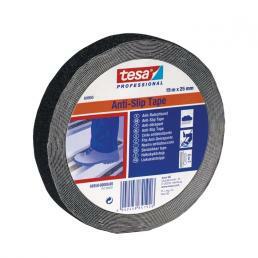 Tesa anti-slip belts in the Mister Worker™ catalog are the best choice for securing your work environment: they resist wear and are highly adhesive, to prevent slipping of any kind.